Well, our “tinder dry” summer has come to a close and fall rains are here again. We hope you all had a safe and enjoyable warm season! It’s been a busy summer for OPSRRA with many things going on. OPSRRA has invited the Milne’s Landing School Trustee candidates for this year’s municipal election on October 20, 2018, to introduce themselves, tell you how they hope to improve our school system and answer a few direct questions from our community members. Also joining us at the All Candidates meeting will be candidates for JdF EA Director, and nominees for the Land Use Committee and Advisory Planning Council both for Otter Point and Shirley/Jordan River. Please join us on Sunday, September 30, 2018, at 2:00 pm at the JDF Local Area Services Building (CRD) at 3-7450 Butler Road in Otter Point. Everyone is welcome and refreshments are available by donation. 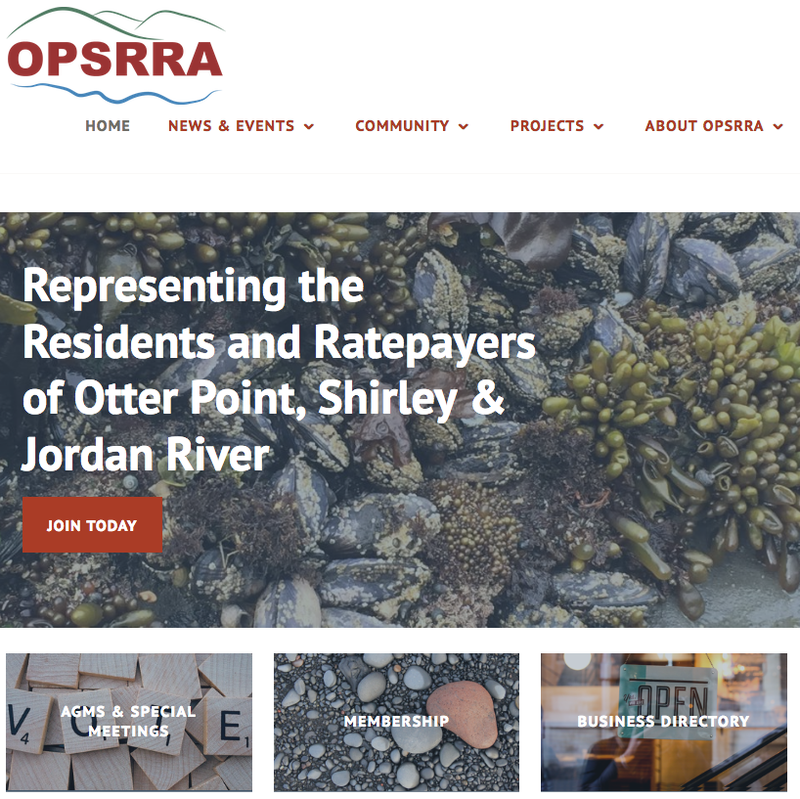 OPSRRA has submitted a Grant in Aid application to CRD in the amount of $1,721.88, as well as a request for a similar matching donation to B.C. Hydro (total of $3443.75) for the creation of wooden “Welcome to Jordan River” signs, similar to what we currently have for Shirley and Otter Point. These will be posted at the west and east CRD boundaries of the community along the highway. We recognize the importance of this signage in acknowledging Jordan River as a growing and thriving community. The sign will also incorporate diitiida, the original landing name place of the Pacheedaht First Nation. Another enhancement to the new site is a more robust business directory to help our community shop local where possible and support our local economy. The directory will continue to grow over the months and we invite our members to be a part of this local resource. 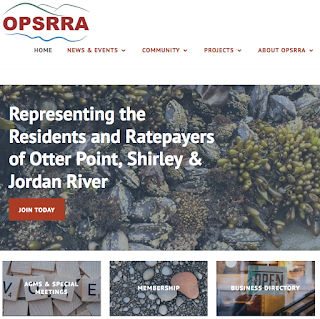 OPSRRA is also looking for community contributions to our website, such as photos, calendar updates and news items. Please email your contributions, feedback and/or business directory listing requests to vpresident@opsrra.ca. Two particularly dangerous corners: Jordan River between Cold Shoulder and the gravel pit, around 11950 West Coast Highway; and Muir Creek, around 8800-9143 West Coast Highway which accounts for 50% of the region's accidents. A request for wider shoulders at regular intervals along the highway to allow for safe pull-offs. A list of existing shoulders which are crumbling away. Request for a current traffic count in Shirley during the peak season to provide a better idea of traffic volumes and the wear and tear on these challenging roads. Again, we’re constantly working to improve the quality of life our members enjoy in our communities, but we really need your help and involvement. If you wish to volunteer your time and assistance in any way, again, please don’t hesitate to contact us at president@opsrra.ca. Enjoy all the pleasure that fall has to offer in our beautiful corner of the world, be safe and hopefully see you on September 30, 2018!